The best thing about living in Hackney is the seemingly endless supply of hot new restaurants and bars available to your average hipster-about-town. My latest gastronomic adventure was a rather impromptu trip to the recently opened Tonkotsu on Mare Street. The third branch of the chain is by far the sleekest- and the first one to feature a cocktail bar. And a good thing that is because on a Friday night you can expect to wait over 40 minutes for a table for two, and potentially longer for bigger groups. But it is worth the wait- especially in the cold winter months when a steaming bowl of rich broth and fresh ramen is the only food IN THE WORLD that would drag me from under my cashmere blanket. The menu is simple stuff- six or seven options of ramen, including the brand-new seafood option- available only at the Mare Street outpost. 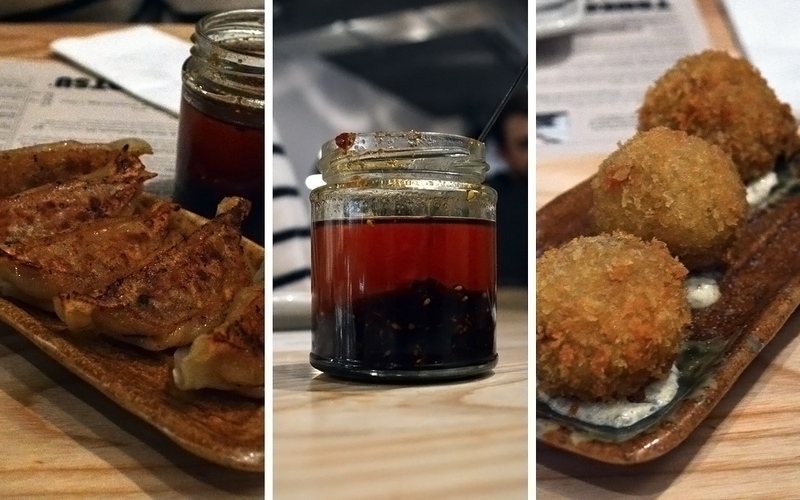 There are also some appetisers, most of which are fried, and some very delicate gyoza. Everything is delicious and warming, even if I think they may have slightly overshot the ratio between potato and crab in the koroke. My seafood broth was great, and the Pal’s chilli chicken one certainly had a fiery kick to it. The cocktails were also most welcome, particularly my ‘Dave and Cheralene’s Wedding’- a mix of gin, sake and citrus that was both sweet and biting. TOP TIP: If you are heading east for a bowl of warm ramen at Tonkotsu, you should definitely try out their Chilli Oil. I guarantee you will love it so much you will want to take it home. The good news is that no theft will be required- you can now buy the chilli oil at the restaurant or from the Selfrigdes Food Hall. 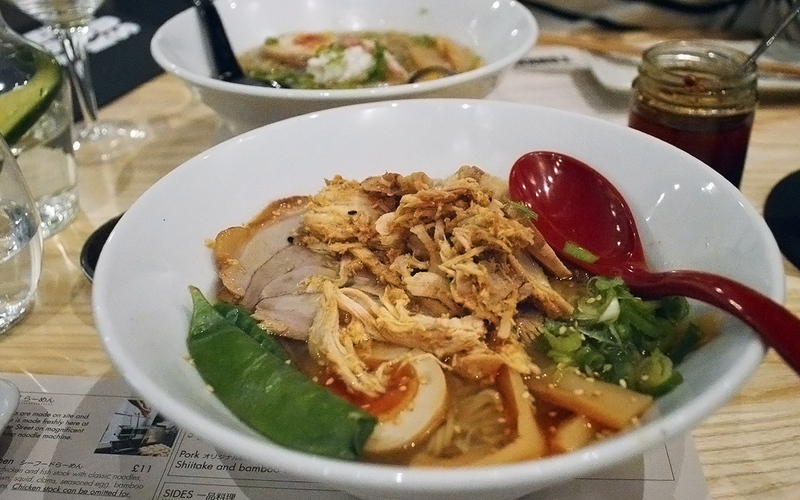 All in Mare Street is a nice win for the team behind Tonkotsu- keep’em coming fellas!